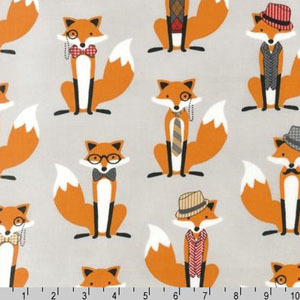 Each fox is 3 inches tall. Fabric repeat every 12 inches. Price: $4.00 per fat quarter 21" by 18"